When Louise Nolet marked her fifth year out of treatment, she wanted to find a way to acknowledge the milestone. "I had to do something to change the course of this disease!" she says. 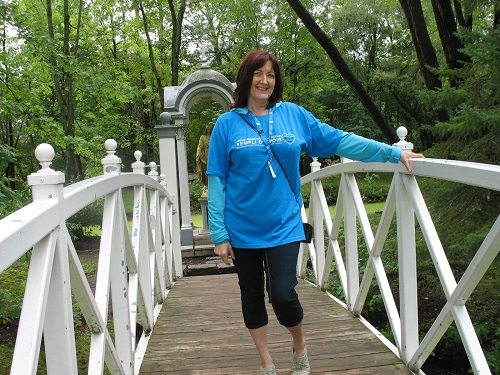 After searching online, she found the Ovarian Cancer Canada Walk of Hope and registered to walk in Quebec City. "The first time I participated in the Walk, I was surprised to meet so many other people who had ovarian cancer,” says Louise. Since then, she’s continued to participate in the Walk year after year. Louise says she walks to celebrate her health, support those who have had a difficult journey, and to help ensure the next generation of women has better outcomes. Louise was diagnosed with endometrioid ovarian cancer, Stage I, grade 3 in 2007. In her case, after surgery and six rounds of chemotherapy, there was no evidence of disease. At this year’s Walk, she will be acknowledging 10 years cancer-free. 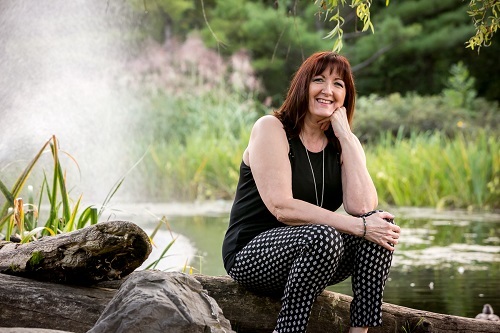 When Louise invites people to give, regardless of whether they actually make a donation, she uses the opportunity to increase awareness by telling them more about the disease. "Every person I ask for support is one more person who knows about ovarian cancer," she says. Louise realizes there is a lack of awareness about this disease and it pushes her to do even more. Reflecting on her own story, Louise remembers the fear she felt when she was told she had ovarian cancer. Like many other women, she first heard about the disease when she was diagnosed. But the Walk brought her face-to-face with a supportive community. When she was welcomed by other women, Louise was overwhelmed by their support. On receiving her first teal T-shirt, she felt a part of an important movement for much-needed change. “I fundraise every year and I will carry on as long as health allows me to do so and as long as people will join me for the journey." Join Louise in making a difference for women and families living with ovarian cancer. Register and fundraise for the Ovarian Cancer Canada Walk of Hope.